Along the banks of the Arno stretches the most beautiful city Florence. “Bella Firenze” is a special place with its unique atmosphere which cannot be found anywhere else. 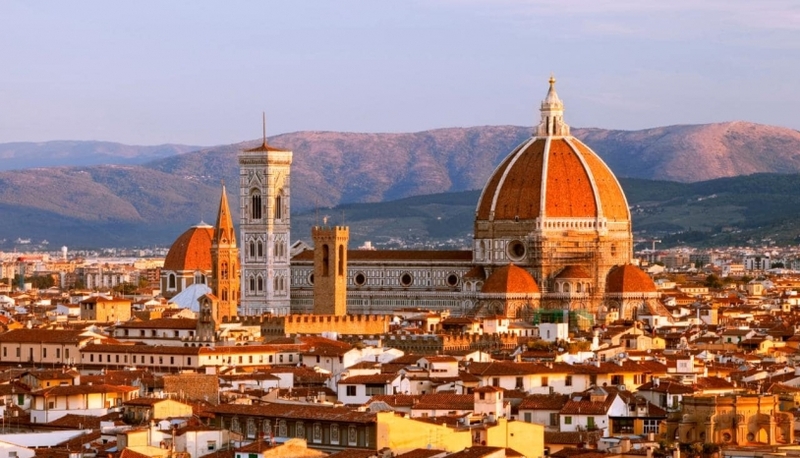 So rich in culture, art and history, Florence cannot be surpassed by any other city. Fine arts which were created and developed in Florence influenced all other European countries. The names of outstanding people are connected with Florence. Among them Michelangelo, Dante, Machiavelli, and other geniuses. All of them were presented to the world by Florence. They must have felt something special about this city which inspired them for creation of real treasures. It's so pleasant walking in the old town admiring magnificent sights that could be found at every turn. You can visit huge cathedrals and tiny chapels, excellent palaces and small churches and everywhere find something unique and special. The historical center should be explored on foot. Nice narrow streets, small piazzas, lovely little churches, open-air cafes show the face of Florence and help to understand it. It’s impossible however to miss the main squares. The Duomo is unsurpassed in its beauty. Walk around the cathedral admiring its wonderful appearance. If you are ready to climb several hundreds of steps on Campanile you will be rewarded by the sight of the city under your feet. Don’t miss the Baptistery with its gilded doors. On Piazza della Signoria stands an imposing building with high grey walls and the impressive tower. Palazzo Vecchio strikes the visitors. It looks austere and strict. Splendid Loggia dei Lanzi with magnificent sculptures is an open-air gallery. These marvelous statues were created by the geniuses of Renaissance. Florence boasts the best fine arts museums in the world. The Bargello is the best collection of sculpture. 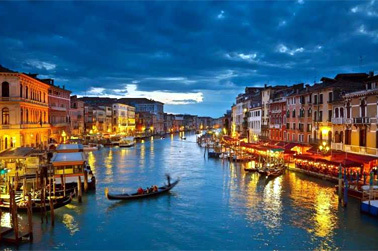 The Uffizi gallery presents the most splendid examples of the fine arts. Small church Santa Maria Novella has amazing facade and still more marvelous interior with unique frescoes. Terracotta roofs around the church and green hills at the background look picturesque. Another small church which can be considered as a real gem is Santa Croce. In this lovely basilica you can see unique frescoes. It’s also noteworthy because the most outstanding people like Michelangelo and Galileo are buried there. Small church San Lorenzo in early Renaissance style is a chapel where the members of the Medici family are buried. The marble tomb of Giuliano Medici by Michelangelo is a real masterpiece. Passing the charming bridge Ponte Vecchio on which numerous jewelry shops invite travelers you come to the other bank of the river. This is Oltrarno district. You can visit Palazzo Pitti with its rich collection of fine arts and relax in the gorgeous Boboli Gardens. And finally you should climb to the highest point with a nice church San Miniato al Monte and have a bird-eye view at Florence. This is the experience which could never be forgotten. Florence is a city of romantic. Walking among its palaces and churches along cobbled streets you can feel the unique soul of this city of art.